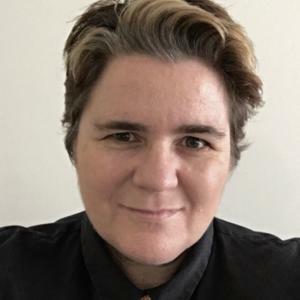 Dr Sandy O’Sullivan is an Aboriginal (Wiradjuri) woman and Associate Professor in Creative Industries at the University of the Sunshine Coast, and is an ambassador for IndigenousX. For 25 years she has taught and researched across media, performance, design and First Nations identity, and holds a PhD across these intersecting areas. Sandy is an enduring Australian Learning and Teaching Fellow, and has recently completed an internationally-focused Australian Research Council programme examining the representation and engagement of First Nations Peoples across 470 museums and keeping places.